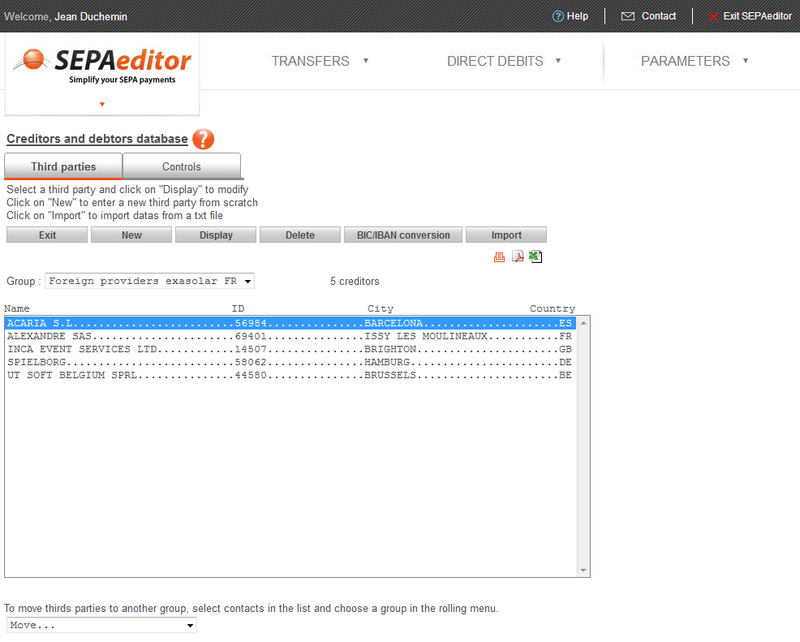 Once the data has been imported or entered online, SEPAeditor allows you to manage your SDD collection orders in a screen which matches the SEPA Direct Debit (pain 008.001.02, pain 008.002.02). 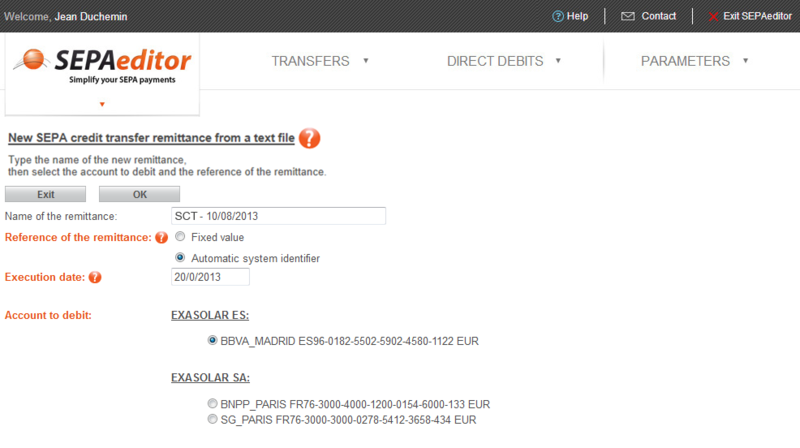 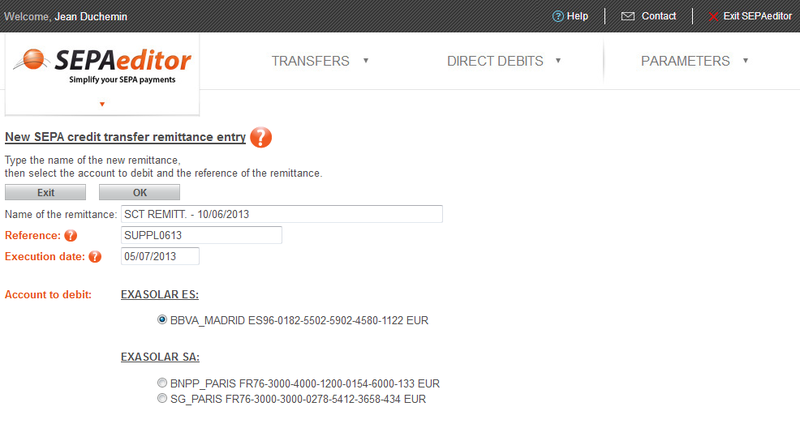 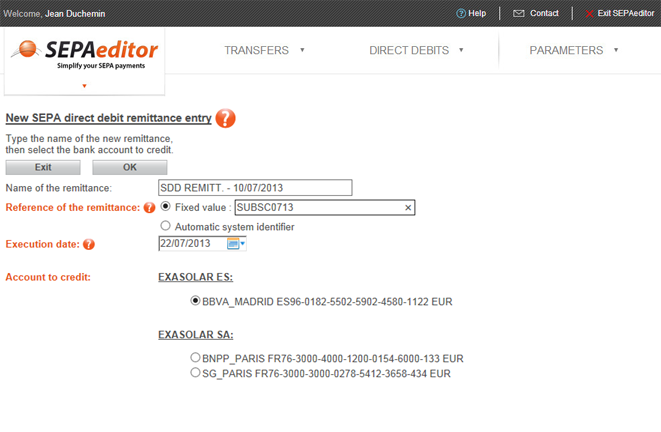 The mandatory fields are indicated by color-coding and the data is checked using the rules established by the EPC (European Payments Council). 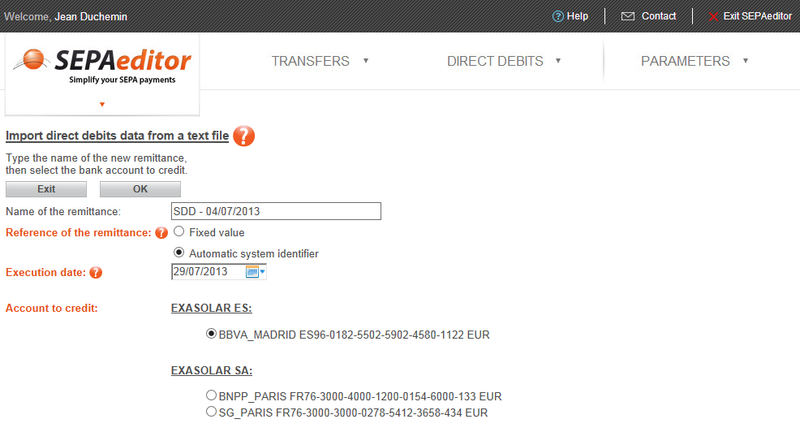 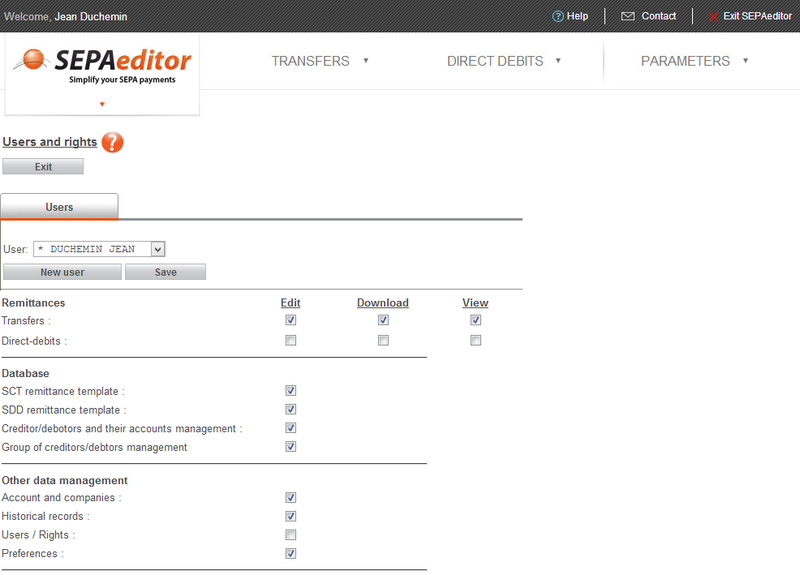 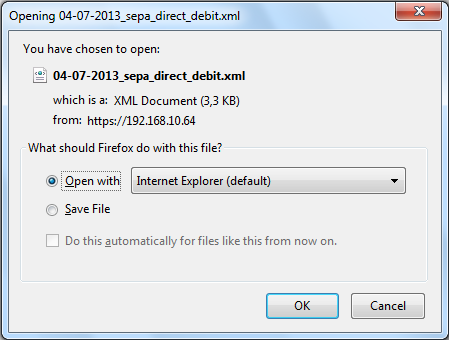 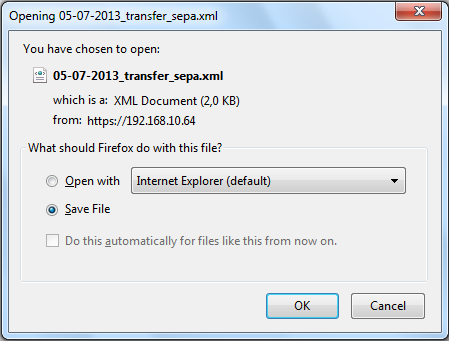 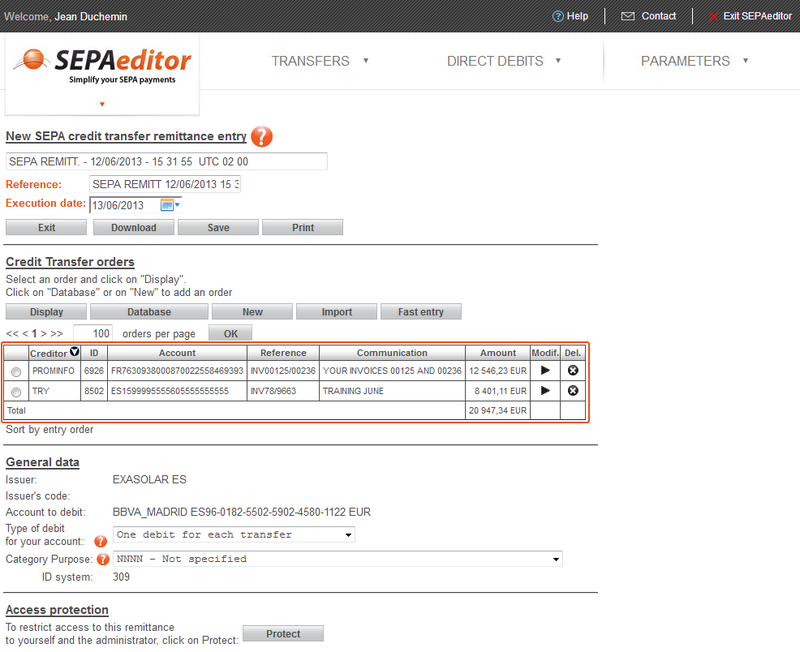 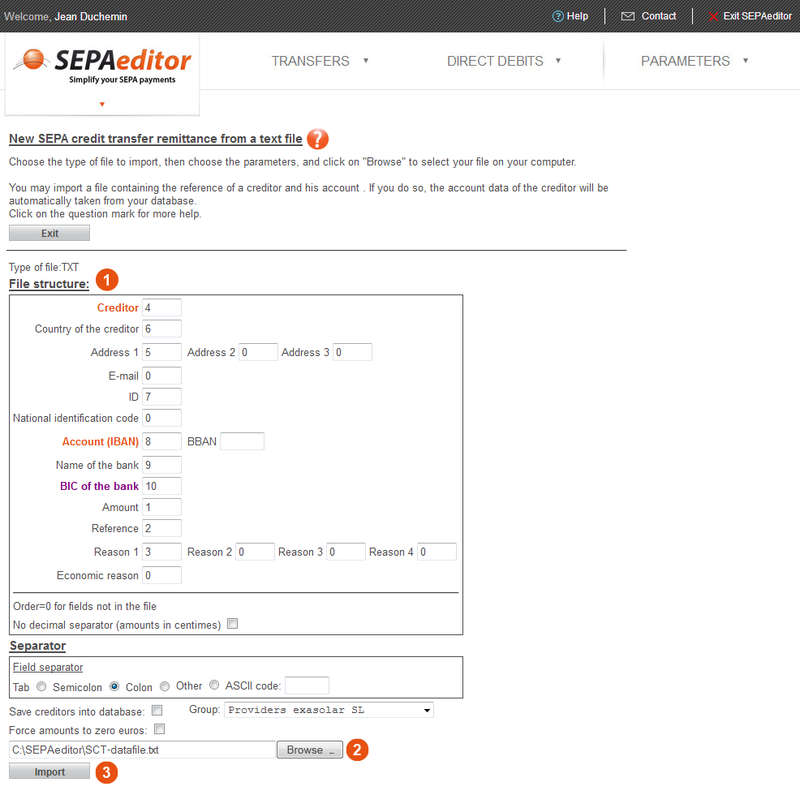 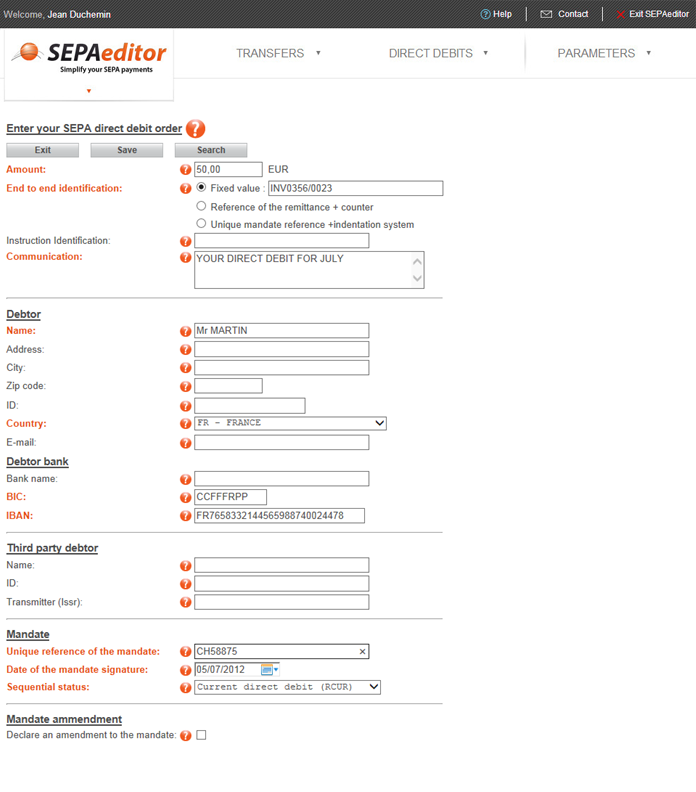 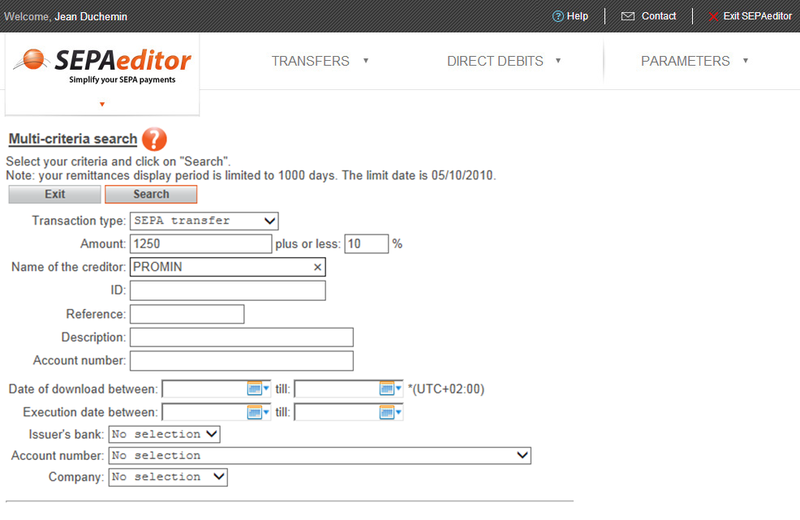 SEPAeditor helps you manage the specific data for the SDD: Unique Mandate Reference (UMR), transaction type (First, OneOff, Recurrent, Last), the SEPA Creditor Identifier (SCI) and the date the mandate was signed. 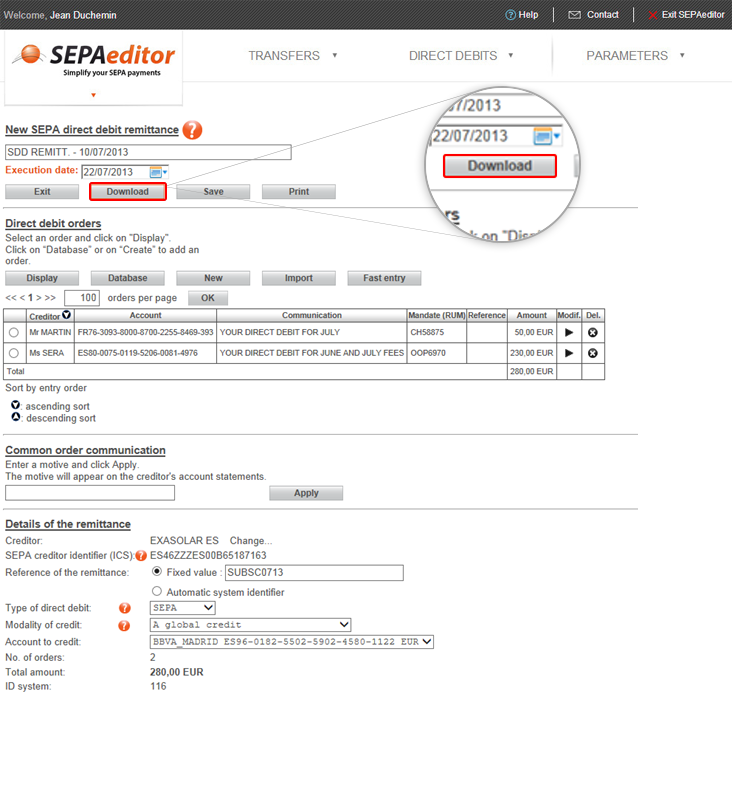 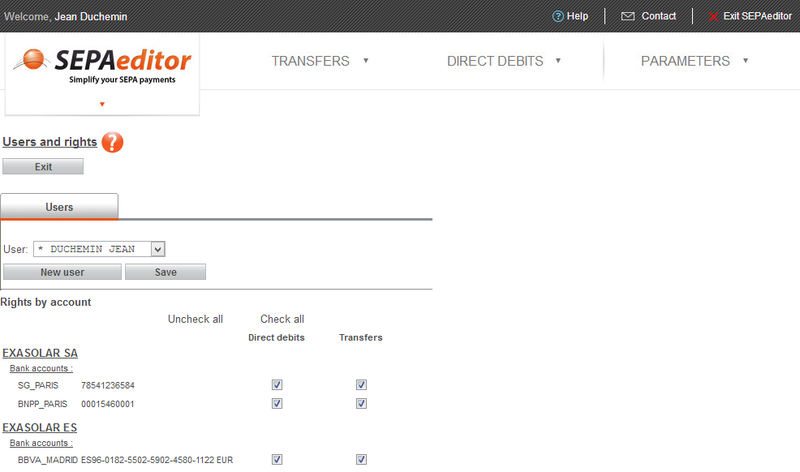 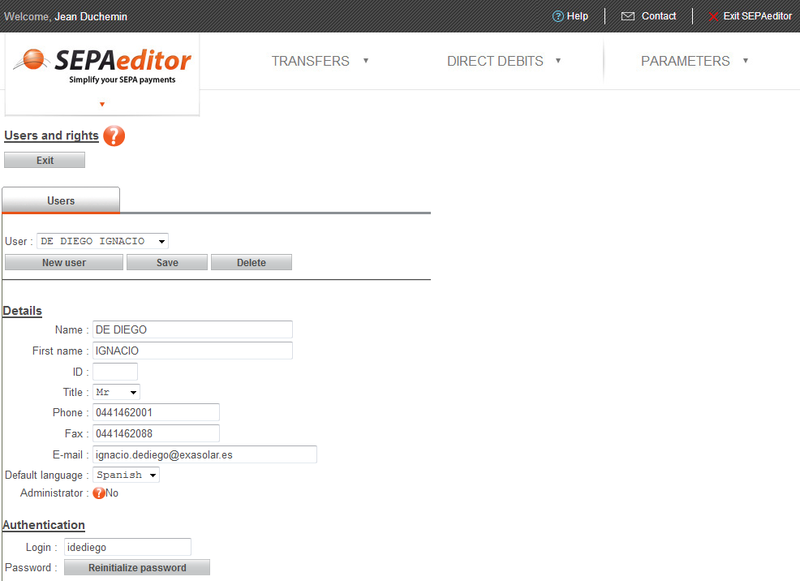 For each of your SDD payments, SEPAeditor provides you with a summary (total amount, number of orders, account credited, etc.) 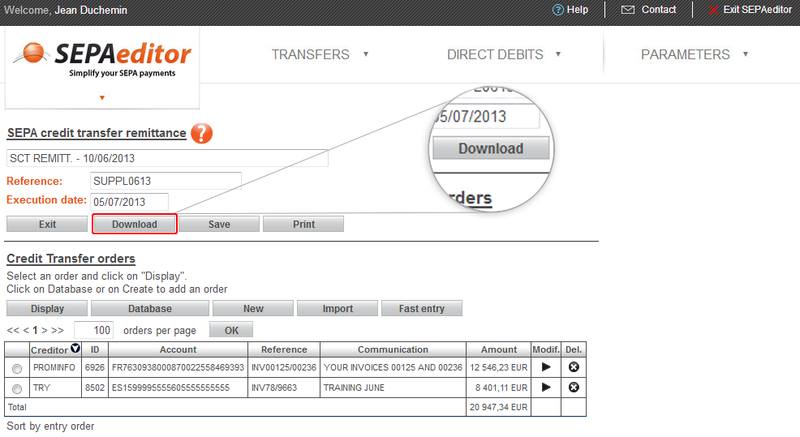 that you can print at any time. 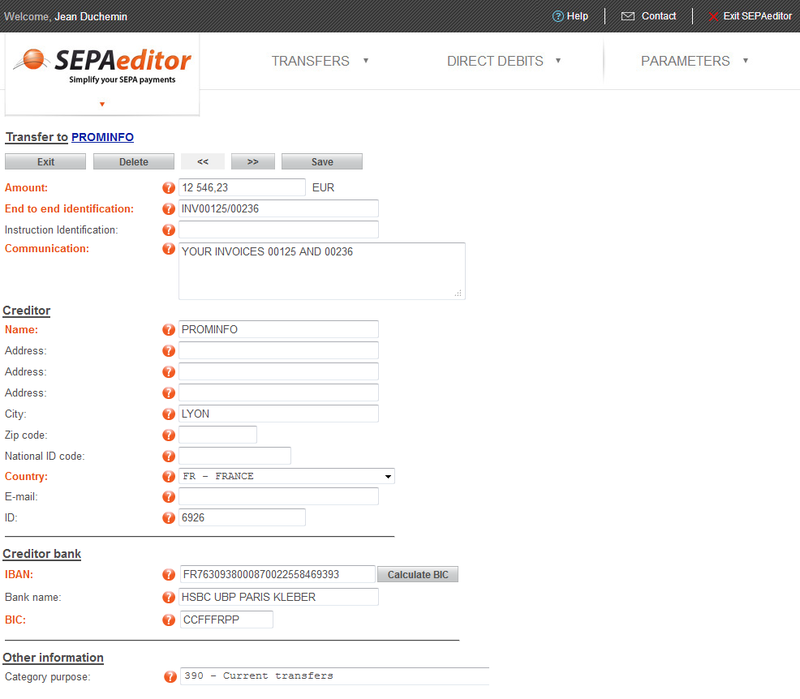 SEPAeditor has a function to amend a mandate. 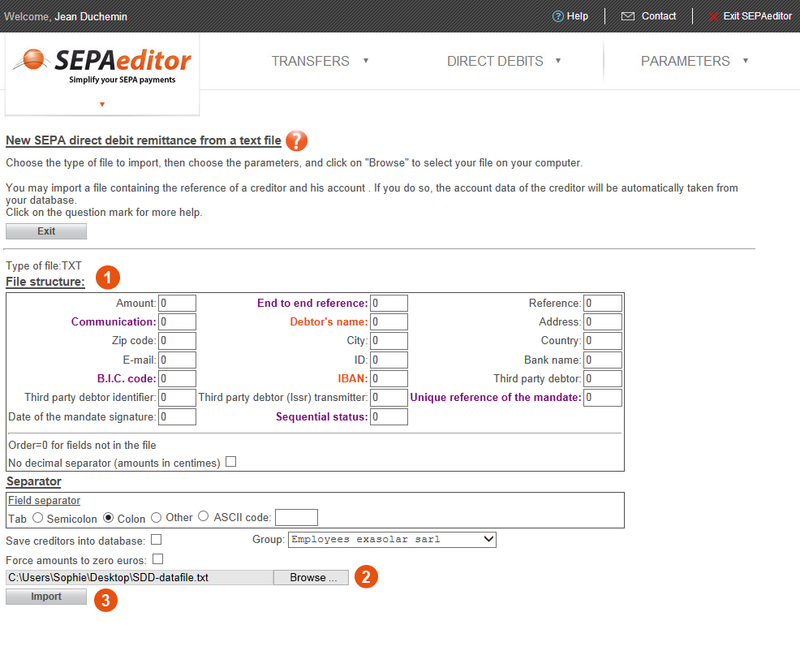 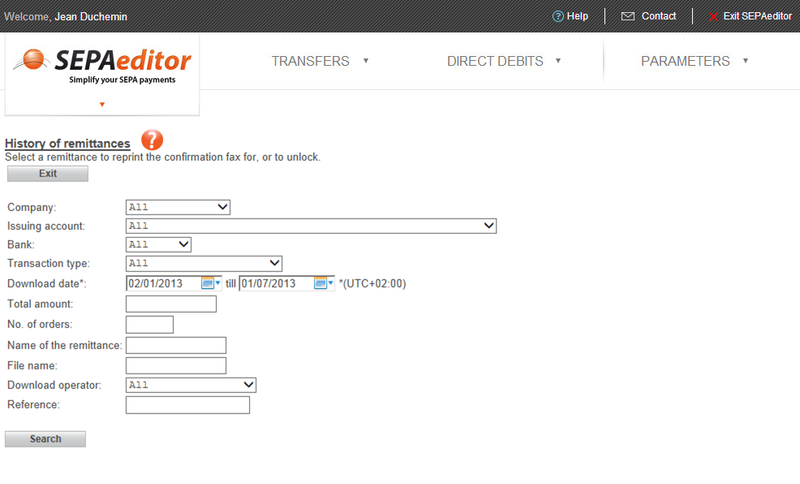 It allows you to define a change to a Unique Mandate Reference (UMR), a change to a name or creditor identification, or a change to the debtor account.